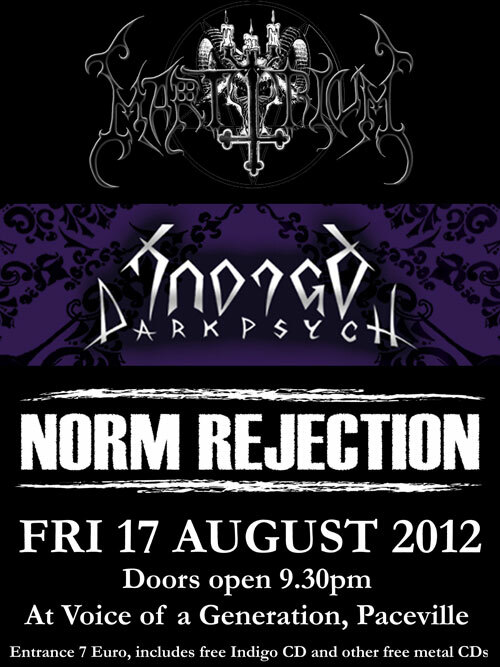 A night of metal goodness by dark metallers Martyrium, cyber-groove metal outfit Norm Rejection and goth veteran Indigo Darkpsych. Expect a lot of heavy riffing, and lush horror synths and lots of black leather. 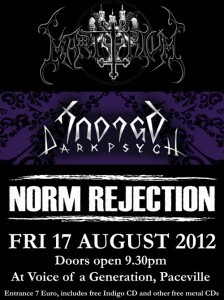 Entrance is €7 and will include free ‘Indigo’ album and other goodies.